Here I am with the second edition of Mollie Mondays! You can read up about this little project of mine on the original post HERE. 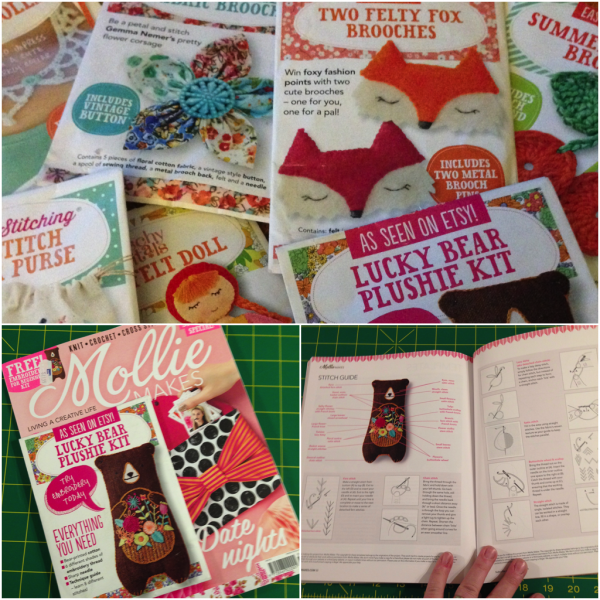 Basically after years of reading Mollie Makes magazine and collecting the little free projects that come with each issue (because I never found the time to make them! ), I was able to sit and make a bunch of them last year while bound to my couch for 6 weeks due to a severe ankle injury. I’m sharing the results here on Mondays! 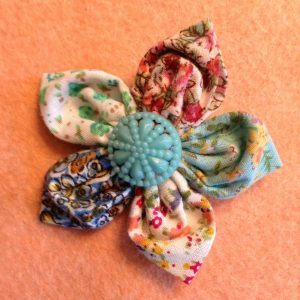 After teaching Kanzashi Flower making at FACTS (Fashion and Creative Arts School) in Blyth, Ontario last week, I’ve got flowers on the brain. 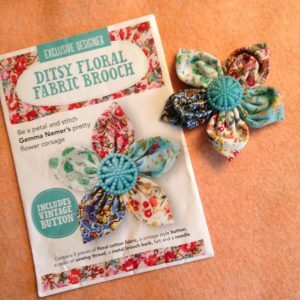 This is the first little fabric flower brooch I ever made and it’s spawned a love for fabric flower making – there are so many possibilities from brooches to garment and hair decorations to bouquets and so on! 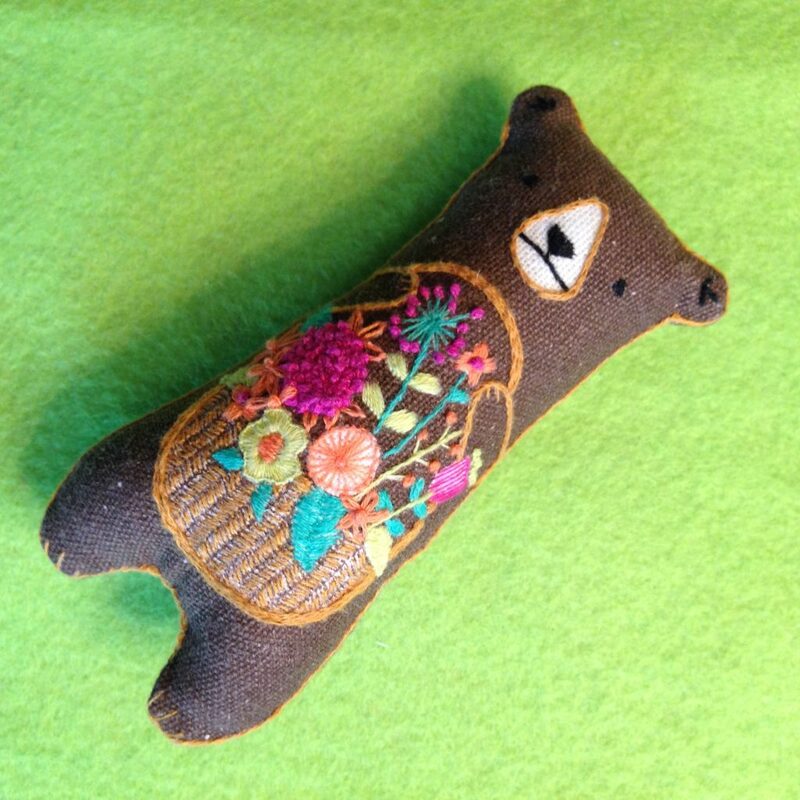 Isn’t this one a charmer? !